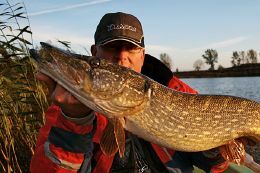 Shallow, overgrown, with plenty of fish, especially pike – this is the shortest description of the pearl of the Zulawy Region, i.e. the Druzno Lake. Till the year 2007, it was forbidden to fish there, first allegedly to protect water- and mud-birds breeding colonies. 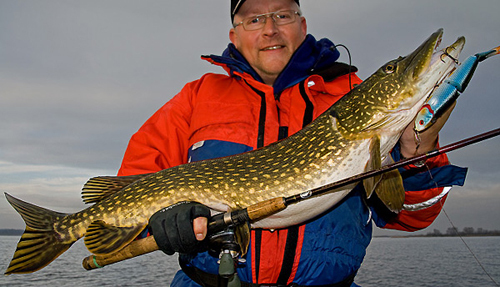 Today, it is an ideal spot to fish pike with jerk bait and our trainers are experts in this fishing method. We don’t promise you to catch the fish of your life at the Druzno lake for sure. 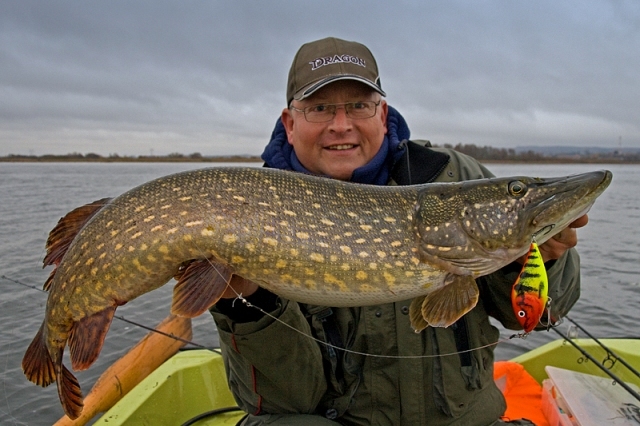 What we can tell you, however, is that if you dream to catch a 100-cm long pike, you must visit this water. The Druzno lake is located in the south-eastern part of the Zulawy Elblaskie region. It is a remnant of the Vistula Lagoon which in the past used to cut deeply into the land. The lake with the water at the level of 0.1m below sea level is a quasi-submersion and is surrounded by banks. Depending on the wind direction, the water level in the Druzno lake changes substantially with discrepancies of up to 1m. The surface of the water is about 1,790 hectares. The “Druzno Lake” natural park which due to the uniqueness of its fauna and flora is a part of the area listed under the Ramsar Convention as the World Heritage. Since 2004, it has been a part of the network of Special Protection Areas within Natura 2000. The Druzno is a flood lake with an average depth of 1.5m, strongly eutrophicated. Its vast waters –apart from very few parts of clean water – are very thickly covered with swimming plants. It hinders moving and looking for fish spots. That’s why you cannot underestimate the role of the guide. 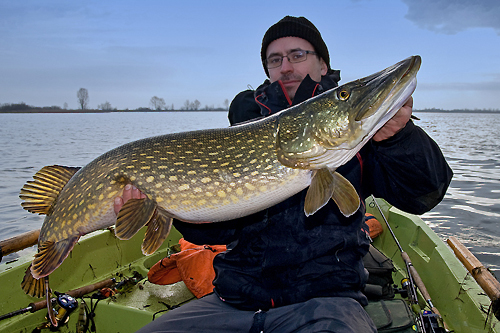 The host at the Druzno lake is the Elblag unit of the Polish Angling Association. Fishing is allowed on boats owned by them. The season starts on September 1st and lasts till December 31st. 160 EUR per person - one person on the boat.